Mahindra’s first compact SUV was in development and we all know about it as it was spotted various times. The S101 was the Codename for this compact SUV. 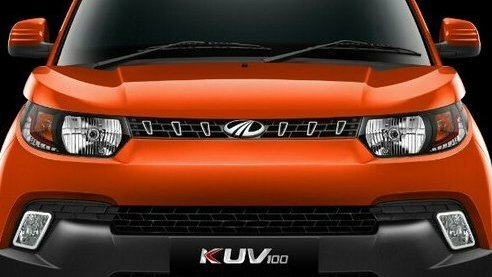 Finally the company has revealed its name and its known as 2016 Mahindra KUV 100. 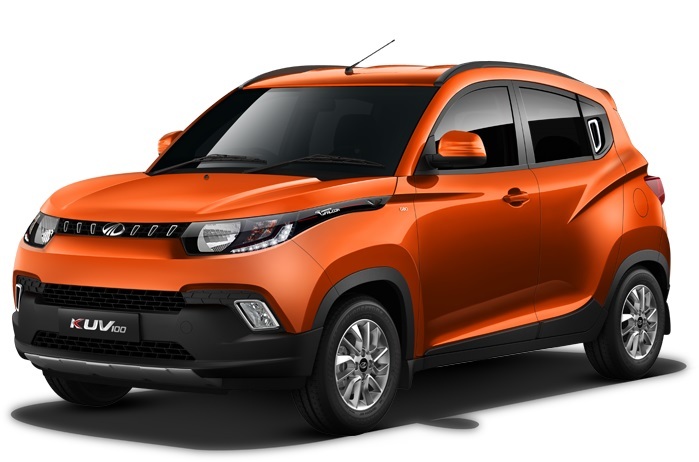 2016 Mahindra KUV 100 price is expected under 4.5 lakh ex-showroom. Just like all Mahindra vehicle nomenclature this is not 100 its 1 double O. The much awaited compact SUV will feature DRLs as per Mahindra’s new design language. Bookings for the new compact SUV already begun today morning and the launch will happen on 15th Jan next month. Mahindra and Mahindra tried to penetrate the entry level market by introducing cars like Verito and Logan, but it was not really accepted by Indian except taxi market. We hope this time the new compact SUV will do wonders for Mahindra if the vehicle is priced well. On the engine side the vehicle features new petrol and diesel engine developed by its Korean counterpart Ssangyong. The petrol motor is 1.2 liter mFalcon D80 that pumps 82 bhp and 114Nm of peak torque. The oil burner is now 1.2 mFalcon D75 engine produces 77bhp and 190 Nm of peak torque. The company has not shared the fuel economy figures for both the engines, but we know that there are more than 500 patents for this engine. Coming to thevariant list, 2016 Mahindra KUV 100 will come with ABS as standard across all variants and airbags will be optional from the base variant itself. The variants are K2, K4, K6 and K8. The K8 is the top of the line variant loaded with all goodies and K2 will be the base variant.